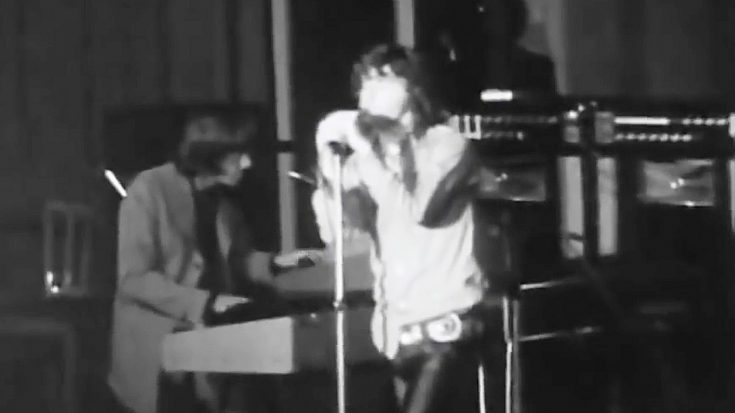 Unseen Footage Of The Doors Rocking In Frankfurt, Germany To Their Hit “Light My Fire” From 1968! The Doors truly are one of the all-time greatest and one of the most iconic rock bands in history. Jim Morrison was without a doubt one of the most prolific and charismatic frontman in all of rock, and his influence is still regarded as such even to this day. The Doors were one of the best, pure and simple. Their time was cut short due to the tragic passing of Jim Morrison, but their legacy truly lives on. Occasionally, you’ll find bits of rare footage of the band that no one had ever seen before. It’s rather rare, but when we do find it, it’s simply amazing, and luckily for us, we have found that exact piece of footage we’ve been waiting for! What you’re about to watch is a video in which The Doors take to the stage in Frankfurt, Germany to perform their iconic hit Light My Fire. This is a must-see piece of footage! See for yourself!